Lung cancer is by far one of the most serious diagnoses a person can receive, and it accounts for a huge number of cancer-related deaths worldwide. Historically, the disease has tended to hit men hardest. But a new report finds death from lung cancer are beginning to surpass breast cancer for women living in the developed world. The researchers say their finding reflects a societal trend: Smoking rates rose among women much later than men, and now it's taking its toll. The American Cancer Society conducted the study in collaboration with the International Agency for Research on Cancer. It was published Wednesday to mark this year's World Cancer Day and appears in CA: A Cancer Journal for Clinicians. The report is based on 2012 data on cancer cases from 184 countries. Overall the study found an estimated 14.1 million new cancer cases and 8.2 million cancer deaths occurred in 2012 worldwide. In developed countries, lung cancer is now the leading cause of cancer deaths in both men and women. (That's been the case in the U.S. since the late 1980s.) The most frequently diagnosed types of cancer in these countries are prostate cancer for men and breast cancer for women. In less developed nations, lung cancer is the leading cause of cancer deaths in men, while women are more likely to die from breast cancer. Smoking remains the leading cause of lung cancer for both men and women in the U.S. Another study published in the New England Journal of Medicine in 2013 found women today are equally likely as men to die from smoking-related lung cancer. 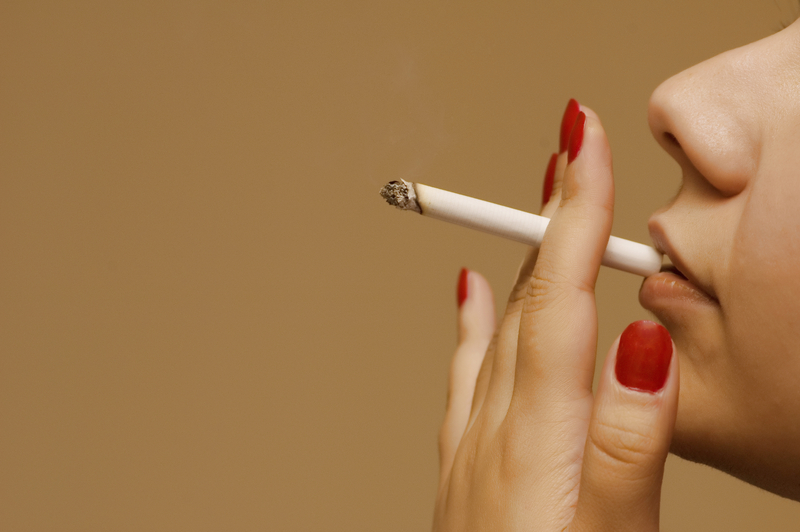 This may be because women today are picking up cigarettes at a much younger age. However, in other parts of the world, environmental factors play a bigger role. Lung cancer rates among women in China were higher than women in some European countries even though Chinese women had lower rates of smoking. "This is thought to reflect indoor air pollution from unventilated coal-fueled stoves and cooking fumes," the researchers write in their study. "Other known risk factors for lung cancer include exposure to occupational and environmental carcinogens such as asbestos, arsenic, radon, and polycyclic aromatic hydrocarbons." The highest lung cancer rates for women were seen in Northern America, Northern and Western Europe, Australia/New Zealand, and Eastern Asia. For men, the highest lung cancer rates were in Europe, Eastern Asia, and Northern America, while the lowest rates were in sub-Saharan Africa. Despite the differences from one country or region to the next, cancer is a global health burden affecting both developed and developing countries. And as more countries adopt Western diets, habits and sedentary lifestyles, the rates of cancer are expected to rise, since the disease is closely associated with factors like smoking and obesity. "Less developed countries account for only 57 percent of cases and 65 percent of cancer deaths worldwide, in spite of their relatively larger share of the population," the study notes. "This is largely because of the younger age structure, immaturity of the tobacco epidemic, and competing causes of death, such as infection, in less developed countries." However, the burden of cancer is expected to continue to shift to less developed parts of the world as their populations age and face greater risk factors for the disease. What will it take to turn the tide against cancer? The report calls for "a coordinated and intensified response" from governments, private industry and individuals around the world.